All those iPhone 4S and Siri fans who can’t put the intelligent assistant down due to their love of her dulcet tones will be more than happy to find out that you can give your Mac Siri’s voice, yes, make your Mac sound just like Siri! 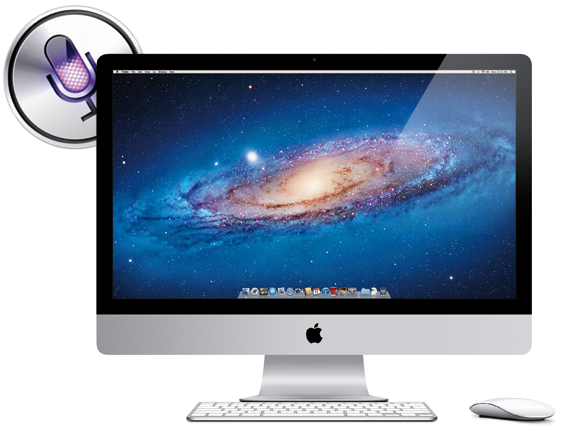 When Apple launched OS X Lion; they introduced a large array of new features, with one of the main ones being the inclusion of Nuance powered speech technology. Those familiar with the inner-workings of Siri will know that the popular iPhone 4S service is also powered by Nuance technologies, so it stands to reason that the voice we have come to know and love should be available on the Mac, right? 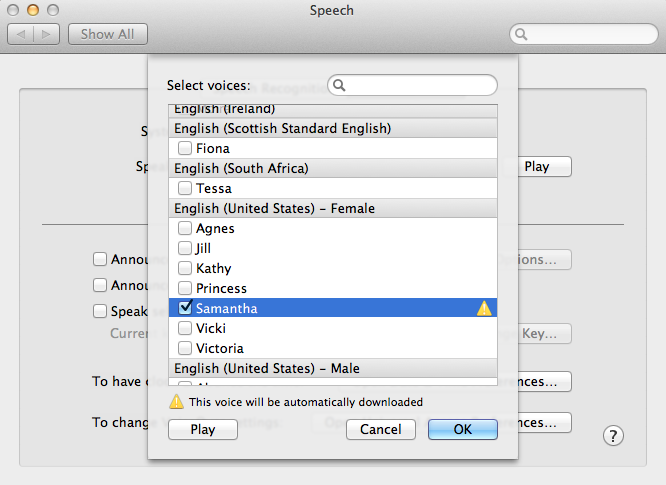 The System Voice option, located within the System Preferences in OS X Lion gives users the option to download additional voices for text-to-speech purposes, with a Reddit user known as Moosehadley noting that the available “Samantha” voice is exactly the same as the one that US-based users have become familiar with after using Siri. Downloading Samantha’s voice is as easy as following a few simple steps and will ultimately be available for use throughout the system where text-to-speech functionality is on offer, or for any options that allow OS X to read out an alert. Follow the simple steps below to get the Siri sound on OS X Lion. Step 1: Open up the System Preferences menu on your Mac. Step 2: Select the ‘Speech‘ option from within System Preferences. Step 3: Make sure that you are in the ‘Text to Speech‘ option within the Speech settings. Step 4: Select the drop-down box at the top of the screen that has the voice names in it. Select the ‘Customize‘ option from the bottom of the list. Step 5: Search for the ‘Samantha‘ voice in the list, which is located under the United States heading. Step 6: The system will prompt you for the final download of the Samantha voice so that it can be used for all text-to-voice purposes. Be warned, the download comes in at nearly 500 MB, so be patient while it downloads. Step 7: Hit Install, and that’s it, when it’s done, OS X Lion on your Mac will now sound like Siri. How easy was that?